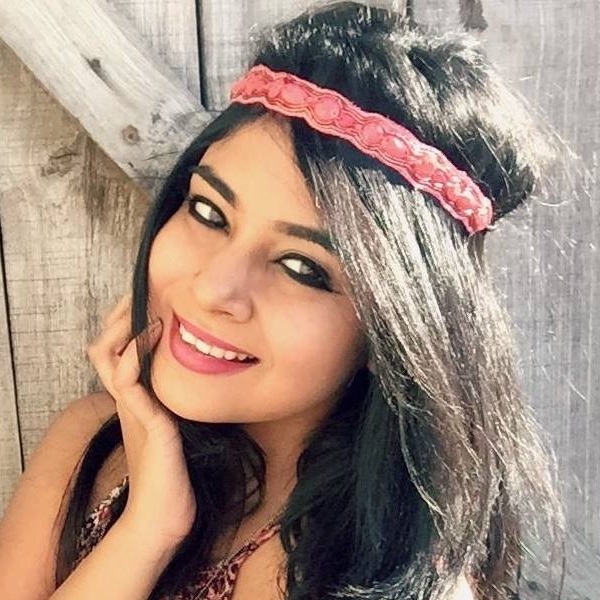 10 Weird Things That Are Actually *Great* For Your Skin & Hair!! While mayo satisfies your tastebuds, you’d be shocked to know that it makes a healthy snack for your hair too! It contains amino acids, egg yolks, oil and vinegar that promote hair growth, nourishes your scalp and gives your mane a glossy finish. 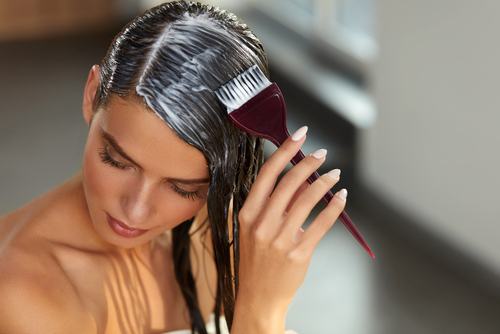 Once every week, just after shampooing your hair, take a cup of fresh mayo and apply it your scalp and hair. Wrap your hair with a warm, damp towel and leave it to soak into your roots for a good 20 minutes. Wash it off with lukewarm water after. You’ve got to try it to believe it! In India, humidity in the air is a common phenomenon. 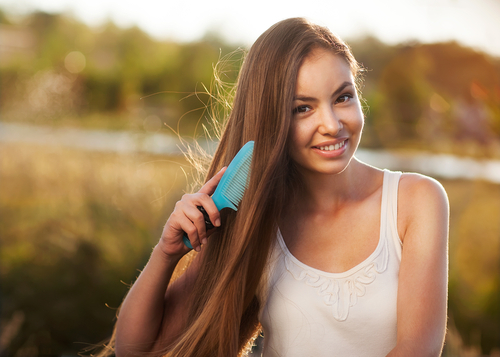 The climate not only takes a toll on your strands, but also makes it frizzy and unmanageable as well. If you aren’t a fan of using fancy hair serums and creams, you might as well consider vegetable glycerine as a trusty substitute. It acts like a leave-in moisturizer and helps defrizz your hair like a pro. Ever wanted to ace that flushed look without applying a dash of blush?! Well, now you can by using pepto bismol! Even though its connection with beauty is unheard of, you certainly must give it a chance. Pour the solution into a bowl, and dip a cotton ball into it. Once it’s soaked, gently dab some of it on your cheeks and you’ll instantly be left with a delicate rosy pink flush. Do you desire luscious, plump lips like Angelina Jolie? Cinnamon oil is about to make that wish of yours come true! A couple of things to do first - use a humble toothbrush to scrub the dead layers of skin from your lips. Next thing - use a spoon to scoop out some vaseline and add 2 drops of cinnamon oil to it. Apply the balm to your lips and give them a gentle massage. Now pout away! Yep ladies, it’s as simple as that! The summers are here to stay, and with the heat turned up, sweat and friction are a given. One of the most common places friction strikes are your thighs. Wearing chic summer dresses and pretty shorts come with a cost. Your thighs rub against each other and you’re left with a nasty red rash. How do you deal with it? Using a deodorant, of course! The trick is to spray some of it on the inside of your thighs to help reduce friction and sweating. Who would have thought that this transparent beauty tool that looks like a breast implant would make a fabulous beauty blender, right? Interestingly, it’s designed to seamlessly blend your makeup for a natural finish and absorb excess foundation product. Try it to believe it! Leftover beer from last night’s party? Don’t throw it away just yet. Keep the flat beer in the fridge and use it the next day for your mane! Strange but true, the yeast present in the beer adds volume to your limp hair and makes it thick and glossy. It’s like the best of waste beauty idea you can totally swear by! They aren’t just meant for your ears, you can use them for your lashes as well! All you’ve got to do is simply sprinkle some translucent powder on the cotton bud and after applying one coat of mascara, run the powder bud along your lashes. Then, apply another coat of mascara and you’re good to go! You’ll achieve longer and voluminous within minutes. Let’s say that you have date or an important job interview to get to, and you want to remove the fuzz from your legs and arms. You head to the shower with your handy razor and you notice that you’re out of shaving cream. Now what?! You dare touch that bar of soap! Soap not only dries skin out, but damages it too in the long run. Choose your hair conditioner instead. Believe it or not, but this baby moisturizes your skin and makes shaving a pleasant and quick experience. 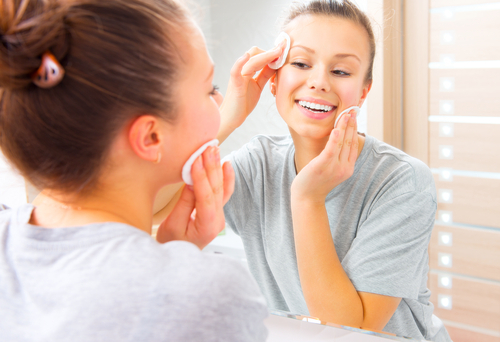 Coffee filter as blotting paper for your face! Like, for real?! Of course, we’re serious! Most blotting sheets are expensive and infused with artificial extracts and scents. This could irritate your skin eventually. Make the BIG switch by sticking to good old coffee filter. It does the exact same job at absorbing oil without burning a hole in your pocket. It’s a perfect hack for this summer heat!